WhatApps Messenger for BlackBerry 10 devices is now available in the BlackBerry World app store. 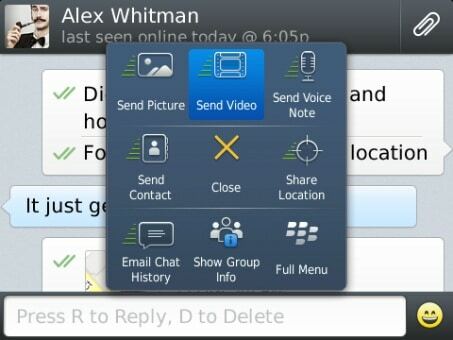 BlackBerry Inc today released a native version of its WhatsApp cross-platform messaging app to BlackBerry 10 users. The cross chatting messaging app, WhatsApp, lets you chat with people using different phones or platform than the one you’re using. It lets you send text messages and media files like pictures, audio, or videos using your phone’s data or WiFi. You can download WhatsApp from BlackBerry World app store, for free.